Understanding stores' coupon acceptance policies in your area is the best way to take full advantage of using coupons to maximize your savings. Every store has coupon policies specific to the region of the country where the store is located. 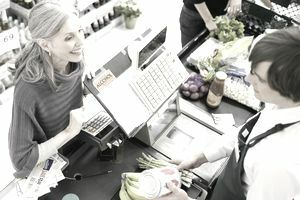 In addition, employee interpretation of a corporate coupon policy can often affect how customers can redeem coupons, even within the same chain of stores located in the same city and state. This is why couponers encourage all stores to have very specific and clearly written coupon policies. It helps remove the guesswork for both the customers and the employees. There are common policies that govern all legitimate manufacturing and internet-printed coupons that most all stores follow. If a store fails to follow these policies, they risk not being reimbursed by the manufacturer for the coupons that they accept. Manufacturers' coupons must have "Manufacturer Coupon" printed on it. Coupons must have a barcode that can be scanned. There should always be a valid remit address (usually in small print) on the coupon. Coupons should have expiration dates or "No Expiration Date" printed on the coupon. The coupons must be clear, legible, and scannable and be the original coupon. For example, if your friend has a coupon that you want, you cannot make a photocopy of the coupon and redeem it. Only one manufacturer's coupon per item is accepted. For example, if you have two manufacturer's coupons for $.50 off Wonder Bread, you can only use one of the coupons for one loaf of Wonder Bread. If you want to use both coupons, you will need to purchase an additional loaf of Wonder Bread. Most stores will not accept an internet-printed coupon that is for more than the regular price of the item. For example, if the Wonder Bread is regularly priced at $2.50, most stores will not accept a coupon that is for $5 off one loaf of Wonder Bread. This is because the amount of the coupon is double what the regular price of the bread is and is considered an excessive discount. Coupons with excessive discounts are likely fraudulent.However, many stores will accept a coupon that is over, if the coupon amount is close to the amount of the item. Most stores will redeem up to the price of the item. In other words, if you had a coupon for $2.75 off Wonder Bread, the store might accept it, but the coupon would only be redeemed for $2.50, which is the amount of the bread. Many stores (although not all) will not give cash back on coupons. When?Stores may have special coupon days during the week or month. This could include a day when they double coupons, or offer store club members extra discounts or additional discounts to seniors. How Many?Find out how many coupons are accepted per total transaction. Some stores allow as many coupons as you have items. Other stores set limits, like 10 coupons a day per transaction. In addition, some stores limit how many "like" items you can buy with coupons. The store policy may state that they accept up to four "like" coupons for the same product, including all flavors, on the same shopping trip per day. This policy has become more popular with stores as a result of the "Extreme Couponing" television series. In fact, many manufacturer coupons now have similar limits printed on coupons. It prevents couponers with multiple coupons from wiping out a store's inventory of a specific item. What Type?Coupon limits are often set based on the types of coupons being redeemed. A store may accept an unlimited amount of store-issued coupons, but only five internet-printed coupons. Other stores may have a policy that allows unlimited redemption of internet-printed coupons. How Much?Some stores have a dollar limit on the coupons that they accept. This limit could be for the individual coupons or for the entire purchase. For example, a store might not accept internet-printed coupons with a face value that exceeds $5. Another store may limit coupons usage to $10 per transaction. Most stores will accept manufacturer's coupons advertising free products, however, internet-printed coupons with the same offer are often declined. Almost all stores will refuse a coupon offering a free product without a purchase unless it is a store-issued coupon. Most all stores will accept coupons that are printed with black ink as long as the other coupon acceptance guidelines are met. This is a tremendous savings to couponers because the price of colored ink is so high. Most of the large grocery and drugstore chains will accept BOGO manufacturer and internet-printed coupons. In fact, some stores allow customers to use two coupons when redeeming BOGO coupons. This can be a real price saver for shoppers. For example, if you had a coupon for Buy One Wonder Bread, Get One Free and you had a manufacturer's coupon for $0.50 off and a store coupon for $0.25 off, some stores would allow you to use both. Other stores will only allow a coupon for items purchased, not free items. Catalina coupons are coupons that print after you check out at the store. Many stores now accept competitor's Catalina coupons. Also, although some stores will not accept more than one coupon per item, they will accept a Catalina coupon for "dollars off" the entire purchase. Stores that allow stacking coupons (see below) and dollars-off Catalina coupons offer their customers the best savings options. Many of the large chain stores will now accept competitors' store-issued coupons and honor their competitors' advertised prices. However, there are often strict guidelines as to what is considered a competitor. This is usually based on where the competitor is located in relation to the store where you are shopping. The customer service area of the store is usually the best place to find out which stores are considered competitors. Store coupon acceptance policies usually state if the store allows the practice of stacking coupons. This is when you use a manufacturer's coupon and a store coupon on the same item. A store coupon is handled differently from a manufacturer's coupon. The savings is absorbed by the store and therefore using both types on one item is often allowed because it does not breach the general coupon guidelines which state that only one manufacturer's coupon can be used per item. It would not be allowed, even in stores that permit coupon stacking, if the coupon states that only one coupon can be used per item because it does not specify what type of coupon. As you can see, there are many different ways stores develop their coupon acceptance policies. Keep in mind that stores often tweak policies or make exceptions to specific items such as tobacco, prescription drugs, and seasonal and promotional products. By familiarizing yourself with the policies of the stores that you shop in, you can take advantage of the different ways to save at each individual store. Because of the many possibilities of what stores will accept and not accept when using coupons, many couponers bring copies of the stores' coupon policies with them when they shop. This is particularly helpful when checking out with a new cashier. Generally, most misunderstandings can be resolved so that both the store and the couponer are satisfied. When that does not occur, customers are encouraged to contact the store directors or corporate offices, but solving problems at the store level makes for better harmony during future shopping trips.